At Macau this afternoon in the first of two qualifying sessions Edoardo Mortara (Signature Plus) set the pace, much as he did in practice this morning. 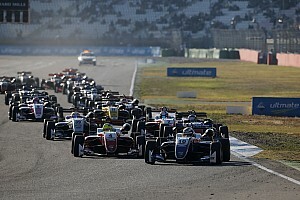 He led pretty much from start to finish despite the determined efforts of Carlo van Dam (Tom's Team), winner of this year's Japanese championship, and Roberto Streit (Raikkonen Robertson Racing). However, before that there was drama and it began this morning. As if to demonstrate how tricky this circuit is, the first official qualifying session for the 55th Macau Grand Prix got underway today without Finland's Mika Maki (Signature Plus), after he dinged the barriers in the morning session, smacking into the Armco at Fisherman's with sufficient force that the medics wouldn't let him out to play until he'd had 24 hours rest. Basically that was his Macau down the drain, even if they let him out again. That still left 29 of them, and provided they didn't decide to emulate the FBMW drivers and roll, bounce or otherwise modify as many cars as possible, it was likely that we'd now start to get an idea of who was and wasn't on the pace. 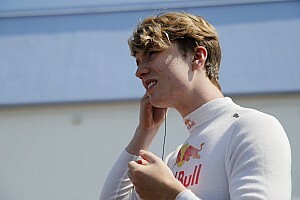 At the start of the session, van Dam led the charge, from Keisuke Kunimoto (Tom's Team), Brendon Hartley (Carlin Motorsport) and his team- mates Jaime Alguersuari, Oliver Turvey, and Marcus Ericsson. They all seemed quite keen to get out there, which was understandable after some of the morning's problems, especially for Hartley who had spent most of the morning session in the pits with a gearbox problem. Luckily for him he's been here before. The first driver to set a time was van Dam, and it soon became apparent that he would be one of the major challengers, but that they would all have to take Mortara into account, as he promptly went fastest, ahead of van Dam and Streit. Hartley stuck it on 4th ahead of James Jakes (ART Grand Prix), Kunimoto, Ericsson, Jules Bianchi (ART Grand Prix), Roberto Merhi (Hitech Racing) and Turvey, who only arrived late yesterday and may well have no idea which way is up, never mind what day it is at the moment. A lap later and Hartley was pushing for pole, though he couldn't quite match Mortara. He did manage enough of an improvement to go 2nd and stayed there for a while, at least until Streit reappeared. Meanwhile Cheng "Frankie" Cong Fu (Signature Plus) was briefly 4th, but again not for long. Jakes leapfrogged to pole, while Kazuya Oshima (Manor Motorsport) claimed that 4th place. Jakes now had Renger van der Zande (Prema Powerteam) and van Dam both breathing down his neck. It was of course only a matter of time before Mortara came back at the two of them, as did Jakes to bounce back to the top of the times. While the leaders were setting times in the 2:14s, Streit had slipped to 5th while Alguersuari improved to go 6th. With a third of the session elapsed, the order was Jakes, from Mortara, van Dam, van der Zande, Streit, Alguersuari, Kei Cozzolino (Now Motor Sports), Oshima and Kunimoto. Mortara, however, wasn't done yet, and nor was Streit who grabbed 2nd while Hartley put in another flying lap for 4th. Van Dam was not having that and was abruptly back up to 2nd as Mortara hit the 2.13s. The Italian was leading the rest of the field by over a second at this point, and looked well nigh unbeatable. Van Dam improved but was still second, and still over half a second down, while Sam Bird (Manor Motorsport) was now starting to show, with a time that was good enough for 7th. And then we got the first of the afternoon's red flags as Jakes went off in a big way at Fisherman's Bend. It was a classic Fisherman's accident, with the car getting unsettled on the uneven Tarmac at the entry to the corner, turning the driver into an unwilling passenger. The car then slammed into the barriers on the outside, ripping off most of its wheels. With bodywork everywhere there was no option but to stop the session. With the greater part of the session still to run, the order was Mortara, from van Dam, Streit, Jakes, Hartley, van der Zande, Bird, Bianchi, Alguersuari and Merhi. In 11th was Turvey, ahead of Oshima, Cozzolino, James Winslow (Ombra Racing), Max Chilton (Hitech Racing), Ericsson, Kunimoto, Cheng, Walter Grubmuller (Hitech Racing) and Jon Lancaster (Manor Motorsport). 21st was Stefano Coletti (Prema Powerteam), with Laurens Vanthoor (RC Motorsport), Atte Mustonen (Raikkonen Robertson Racing), Daniel Campos Hull (HBR Motorsport), Basil Shaaban (HBR Motorsport) Michael Ho (Raikkonen Robertson Racing), Nicola de Marco (RC Motorsport), Masaki Matsushita (BTRS by Ombra) and Koki Saga (Le Beausset Motorsport) filling the remaining places. As Jakes trudged disconsolately back to the pits, the wreckage was rapidly craned away and the restart was signalled almost immediately. With plenty of the session left it was likely there would be some changes still to come, but they wouldn't come through that quickly, especially with people like Saga making an idiot of himself and falling off on his out lap. At least the session didn't need to be stopped, but the madly waved yellows as he was craned away cramped everyone's style for a while. No sooner had that incident been cleared when there was another one with Merhi going off twice at Police bend and causing another outbreak of waved yellows. With the sectors all finally cleared Cozzolino was the first to make a breakthrough, getting an improvement that shifted him to 8th. That started a wave of improvements, with Alguersuari next to find some extra speed that would put him 5th, just ahead of Hartley. While Mortara pitted, Streit took advantage of conditions to claim 2nd, only to lose ground again when van Dam came round to break the timing beam again. With van der Zande 4th, and Hartley now 5th, Mortara came back out and started to really push, getting the target time down into the 2.12s, which was too much pace for many. Meanwhile, Mustonen had staggered onto page one of the timing screens, and about damn time too was no doubt his team boss Antony Hieatt's thought. He really looked slow and dispirited. The honour of Scandinavia was being left entirely to Ericsson it seemed, and he was once again on the move, shifting up to 11th, while Streit went faster but stayed 3rd. 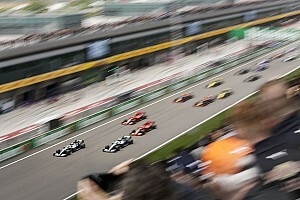 Hartley improved for 4th and Bianchi claimed 7th, just behind Bird. It was suddenly all go, with Ericsson improving again for 9th, which turned into 10th when Alguersuari pushed into 7th. 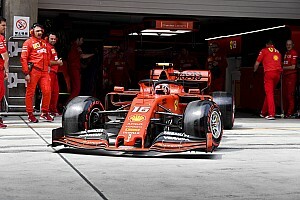 However, there were now waved yellows which quickly turned into reds after de Marco did exactly the same as Jakes at Fisherman's, crashing out heavily and coming to rest across the track, though it has to be said it was down with considerably less style than Jakes. We were at a halt yet again. Mortara still led, from van Dam and Streit, with Hartley 4th form van der Zande, Bird, Alguersuari, Jakes, Ericsson and Bianchi. 11th was now Coletti, from Chilton, Cozzolino, Kunimoto, Winslow, Merhi, Grubmuller, Turvey, Oshima and Mustonen. 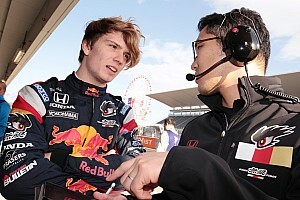 In 21st was Campos Hull, from Shaaban, Cheng, Lancaster, Vanthoor, Ho, Matsushita, de Marco and Saga. At the restart there were 9 minutes and 22 seconds left to run, and it was thanks to the considerable efficiency of the marshals here that once again the delay was minimal. It didn't take long for the truly determined to get up to speed again, with improvements from Kunimoto and from Turvey who was making steady progress up the order and was now 15th. With Alguersuari and Bianchi both digging deep to improve to 7th and 8th respectively, it remained to be seen if anyone could do anything about Mortara. Van Dam tried but it wasn't enough, and no one else looked close at this stage. And then it became a purely academic question, when the session was again stopped after Matsushita went off and ended up broadside across the track at Police, and Mortara and Vanthoor couldn't avoid hitting him. The resulting blockage led to a traffic jam as no one could get through and the session had to be stopped for the third time. 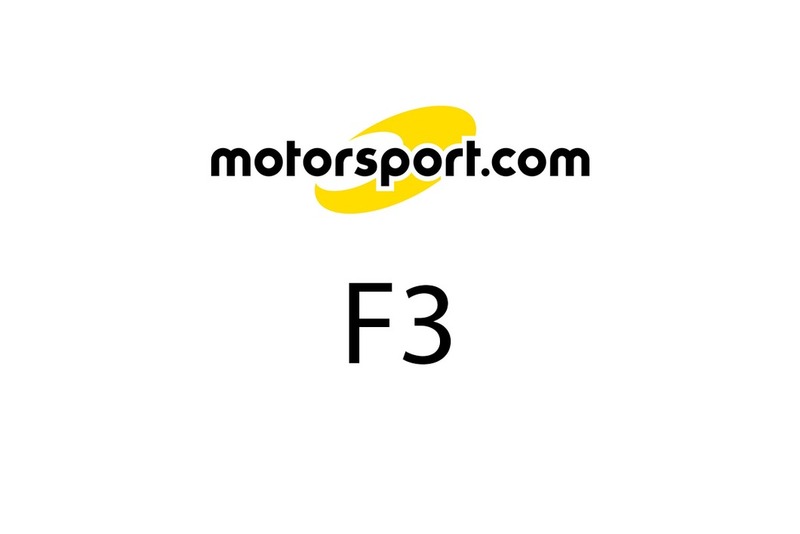 That was the end of F3 activity as there was so little time left that a restart would have been pointless. It was shame for Turvey as he'd just broken into the top ten, and it was probably a shame for Mortara too, as it wasn't his accident and he'd clearly got the car set up just right. At present the order remains Mortara on provisional pole, ahead of van Dam, Streit, Hartley, van der Zande, Alguersuari, Bird, Bianchi, Turvey and Jakes. 11th was Ericsson, from Kunimoto, Cozzolino, Coletti, Chilton, Merhi, Winslow, Grubmuller, Oshima and Campos-Hull. 21st was Vanthoor, beating out Mustonen, Shaaban, Cheng, Lancaster, Matsushita, Ho, Marco and Saga. Tomorrow there is one more practice session in the morning and final qualifying in the afternoon. Weather: Warm, clear skies, breezy.